Nick Garner is founder of Oshi.io casino, a successful Curacao-licenced Crypto/Fiat money operator. He previously worked as search manager for Betfair, then head of search marketing for Unibet. 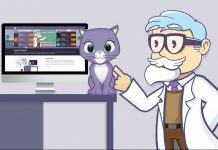 In this article I’ll talk about the unique characteristics of igaming SEO versus the rest of the Internet and what that means in practical terms when you’re out there hustling to be a successful affiliate. When you look at any ecosystem, it’s important to start with the fundamental drivers that affect the whole marketplace. Affiliate marketing in most sectors will give you maybe 5% revenue from sales? If you’re an Amazon affiliate, revenue share on sales starts from 1% for video games and game consoles all the way up to 10% for Amazon fashion items. 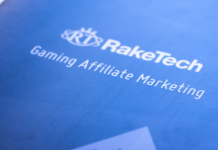 In igaming, affiliate revenue share will vary from 20% all the way up to 50% revenue share. For example in my own casino Oshi, we offer 40% revenue share, no admin fee, no negative carryover, lifetime revenue and our deal is generous, but not that unusual. If you look at the average lifetime value of a casino player, once you’ve subtracted bonus costs, game provider fees, platform fees et cetera then an affiliate can earn about 20 to 30% of actual revenue generated from a player. These numbers make affiliate marketing in igaming amazingly lucrative and therefore competitive. When you think about types of affiliate, they broadly fall into ‘brand destinations’ and ‘thin affiliate sites’. Latest Casino Bonuses, OLBG or AskGamblers are typical brand destination sites. In other words, these sites are visited repeatedly by players looking for new bonuses or whatever. Overall they rely heavily on organic search traffic, but not in the same way as thin affiliate sites do. Thin affiliate sites will typically be list websites, with latest bonuses from a selection of operators. These thin affiliate sites are mostly the same, but if you can rank, you can make some serious money for very little effort on your part. Why? Players don’t care about your reviews, they just care that your offering some generous bonuses and they trust your site enough to click through. In the past up to around 2012, Google was massively influenced by links. Then with the advent of machine learning, Google was able to develop its algorithms so it became less dependent on relatively simple signals like links. First was Penguin, the algorithm that discriminated between links that had editorial merit and ones that were valueless. By filtering out junk links, Google was able to reinstate the importance of links as a ranking signal. However, around 2014 Google started to operate the ranking infrastructure called rank brain. By 2015 they publicly declared that it was the third most important ranking factor they had. What is) do? It solves the age-old ‘Paris Hilton’ question. If I said to you: Paris Hilton, do I mean the hotel in Paris or the declining celebrity? In other words in the years since Frank brain was launched Google has become brilliant at understanding the meaning of content. If you do a ranking report in SEM Rush or Ahrefs, you’ll see pages ranking for seven or 800 key phrases. Why? Because Google can now see beyond keywords and can understand meaning. Even if that keyword isn’t on that page, that page could rank for a specific phrase. The other huge change has been enabling user engagement as a factor for ranking. In the early days back in 2013, Google had started to use click through rates as a means of identifying which content should rank. In those days I did a lot of experimentation with click bots and was able to influence search results very easily. However, Google got control of this spam problem and it was no longer possible to influence search results directly through click bots. My hypothesis: Google are very good at identifying click fraud through paid search, so therefore they applied that technology to fake click through’s and in turn they made user engagement a very robust ranking factor. Overall, Google have put machine learning at the very centre of their search algorithm technologies. Google probably have around 3 million servers these days. That’s a vast amount of computational power, which they’ve applied to making their search results very difficult to game. Conversely, Google search results are better than ever before because the sites which rank are the ones that users find most relevant and satisfying. At one time I used to think I could game Google, but now I’ve given up on that and I think more about how to ‘game’ people. 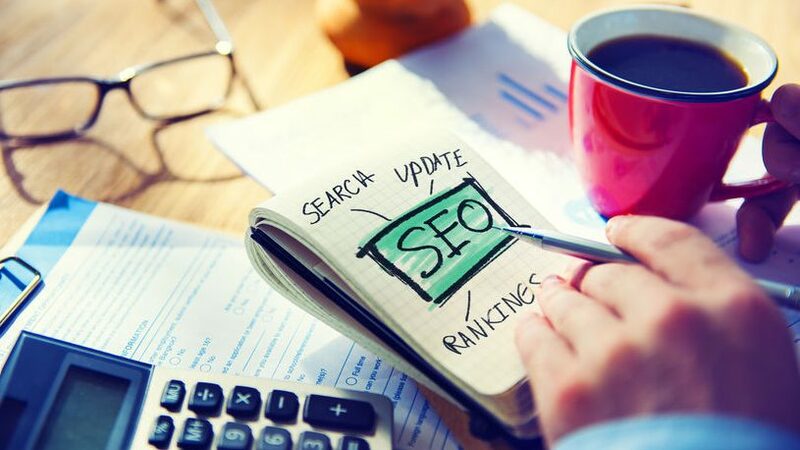 Web users are easily influenced and once you understand what presses their buttons, and you use this to your advantage, along with straightforward best practice for organic search, you will rank and make a lot of money. As you know within iGaming, there is poker, financials, bingo, Poker,casino and sports book. If you work on the basis of keyword value, financials keywords are probably the most profitable because the lifetime revenue per customer is vast and the competition is intense for customers. However, the volume of search traffic is relatively small compared to online casino or sports book. For the purposes of this article series, I’m going to concentrate on casino and sports book because those are the two areas I know most about. In my experience it’s very difficult to compete against big news outlets for event phrases i.e. ‘bet on [name of event], because they have huge budgets and providing top tier content is part of their overall brand proposition, so you’re left with: free bet lists, or betting tips phrases. The catch with betting tips phrases are that you’re competing against established sites like OLBG who have thousands of active users spinning out hundreds of tips a day. My best advice if you’re starting out as an affiliate and sportsbook: go for free bet lists. Whilst free bet lists are very ‘same as’ , as you’ll see from future articles there are ways of getting a competitive advantage in ranking without a great deal of content expenditure. The main thing to remember is that no one cares about your review or your betting advice if you’re not a trusted site. Brand phrases i.e. ‘Oshi casino’ which will typically show the brand as the top ranking site, but right below it you will probably find a plethora of affiliate sites. Why? Brand converts extremely well. As a casino operator, I can tell you that affiliates AskGamblers and Latest Casino Bonuses do extremely well, mainly because they rank on brand and as I mentioned, brand phrases are lucrative. For an affiliate starting up in casino affiliate, based on my data and experience ,my advice is to stay away from trying to be a brand destination affiliate site and just concentrate on finding a niche and building list sites. So what’s a good niche for either sports book or casino list sites? 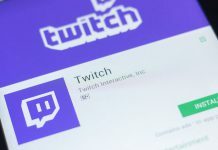 In my view, it’s probably worth staying away from the UK market if you can manage it, just because there is so much regulation and so much distrust in affiliates from operators, that if you’re a new affiliate on the block, it’s going to be hard for you to cut a good deal with UK operators. In the UK, operators are partially responsible for the messaging that affiliates put out. If an affiliate goes off piste with their messaging and the UK gambling council picks up on this, there will be trouble for the operator. Overall this makes life very difficult for small affiliates that can’t handle the extra workload. It is also arguable that because of the tax take in the UK, there’s less margin for affiliate revenue share. The counterpoint is that there is a huge market and you’re more likely to get large numbers of customers, but the UK market is very saturated and most players who are revenue potential, will have already joined most of the big casinos and sports books already. Translations are a huge amount of hassle and expensive to do. The biggest catch with translations is that you’ve invested all this effort into building your site in German or whatever language, then you have to make a change somewhere. For every single word you change, you have to go through the whole process with translators to get the site updated. That’s why if you’re doing multi-language, have somebody you trust who understands igaming affiliate content and is local language to work closely with you. I deal with igaming affiliates all the time and I’m lucky enough to be able to analyse which affiliates are making profit, what websites they rank with, which country territories and what key phrases. Overall I think the most interesting niches are grey markets where operators are typically licensed from jurisdictions like Curacao. These jurisdictions have minimal tax overhead, so they can afford to be very generous with revenue share. In terms of location, unfortunately there is a relationship between how contentious territory is and how much profit you can make. For example something I would not advise you to do is market in Australia. The government are aggressive with affiliates, yet player values are massive and competition is low because the government has done a great job of enforcing local gambling legislation and warding off operators and affiliates. In other words there is a correlation between risk and reward. The same applies to the United States, a jurisdiction you should not mess with, but if you can rank in the states and you can list operators that are happy to accept US traffic, you will make lots of money. In the end you’ve got to make that judgement call on what you prepared to do in order to make your cash. If you are sensible and you stay away from country territories like Australia and the United States, territories like Canada, New Zealand, South America are all either less gambling orientated, or have smaller populations but… They bring in good player revenues. If you’re running a thin affiliate website, it’s easy to build out numerous websites and therefore targeting small country territories like New Zealand makes economic sense as long as your content is satisfying to those local players. If you’re doing free bets/sports book I would look at building relationships with operators that are doing well as sports books, but have strong casino brands. In my experience player values are okay with sports book, but quadruple that in casino. All of the big operators that run successful casinos will produce about half their total revenue from casino, yet casino players will probably account for 20% of their player base. Different segments within igaming have different keyword characteristics. Whether your somebody working out of their bedroom or a funded start-up, my advice is to do your research obviously, pick off a lucrative niche segment and start from there. In my view, Google is impossible to game, but people are easy to manipulate. That’s called marketing by the way. So, once you understand the mechanics of Google and why certain sites rank, the rest is relatively easy. Next time we will talk about the mindset needed for ranking on Google and what practical steps you can take to start making money.